This was my second time to be in Sta. 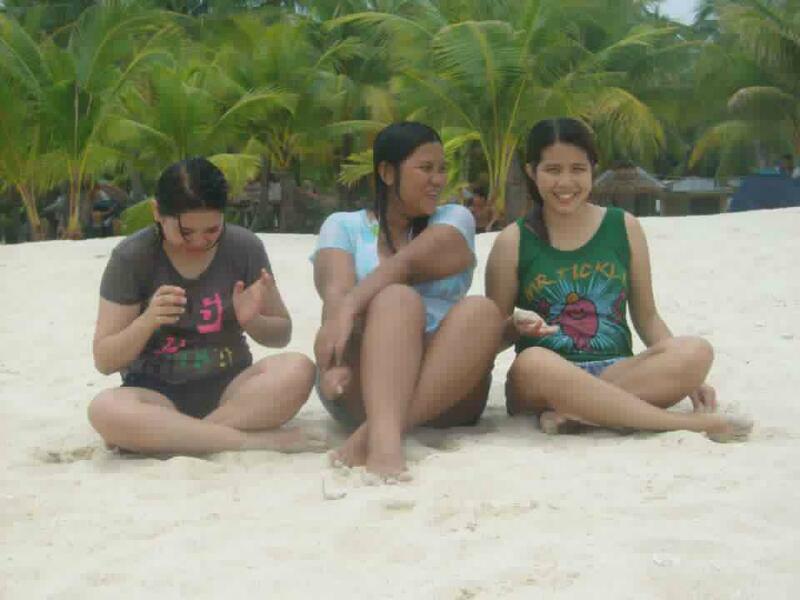 Fe, Bantayan and true as they say, its really sweeter the second time around! I’m loving the place even more and the fact that I was with some of my closest friends made it even more fun! The trip was supposed to be a three-day, two- night adventure but due to conflicting work schedules (thanks to me! ), we managed to squeeze our activities in 2 days and one night. 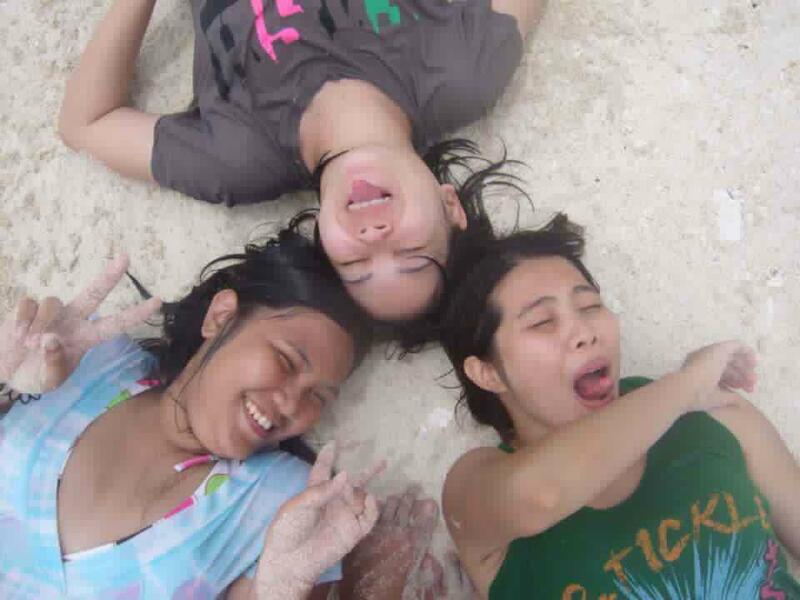 The trip was pure fun and ecstacy! After all, it was our way of welcoming summer! Day 1. Saturday. We took a Ceres bus to Hagnaya at the Cebu North Bus Terminal. We were there at 5:00 am but since the bus has to be full, we ended up leaving at around 6 am. 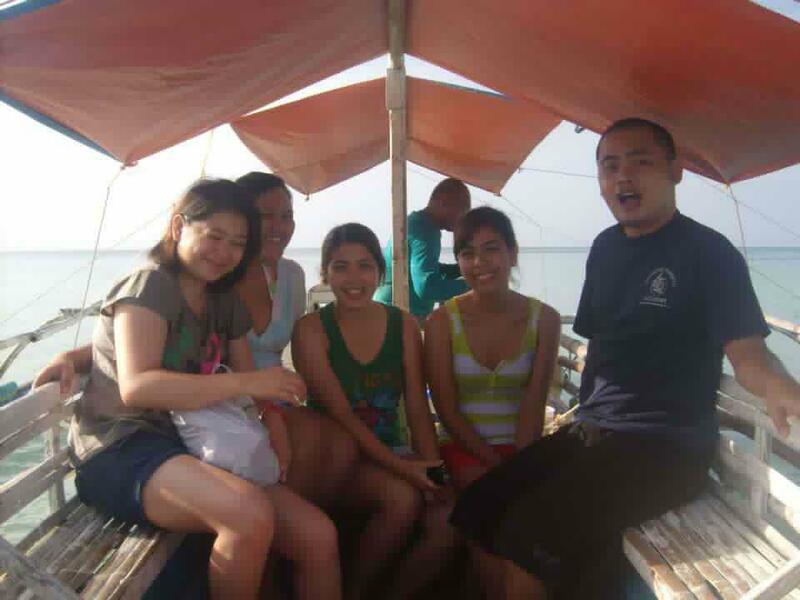 From Hagnaya, we have to ride a “roro” (short for roll-in roll-out) boat to Sta. 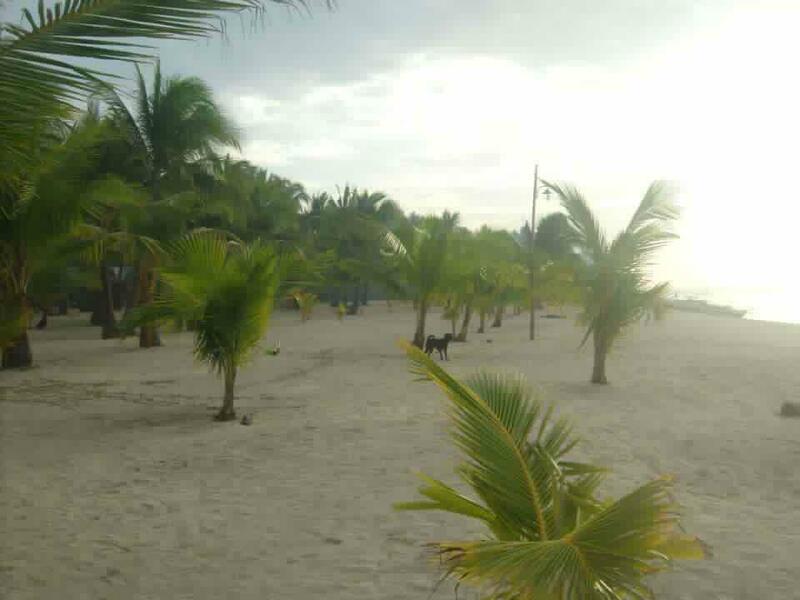 Fe, Bantayan. Again, we used our student privilege resources and paid 143 php instead of 160 php. The boat ride was for an hour so we took the time planning the rest of the trip. From the pier of Sta. 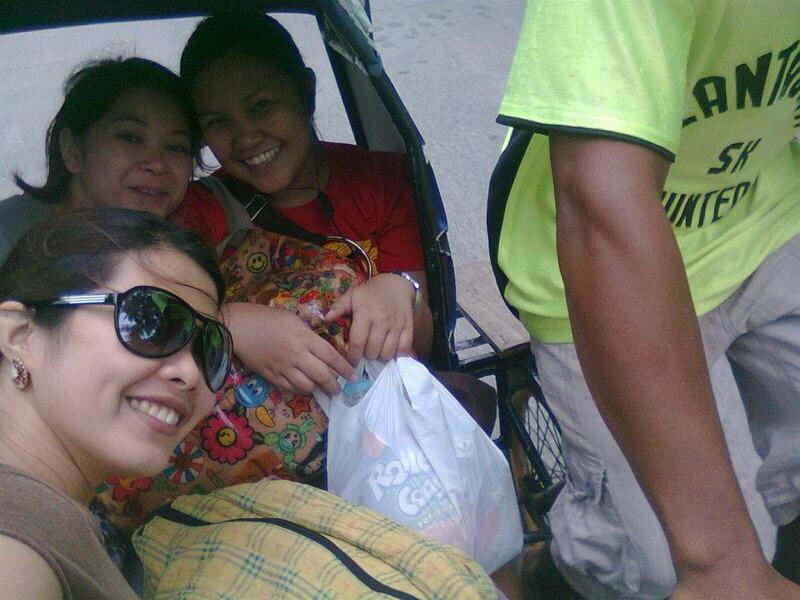 Fe, we rode a “trisikad” (Cebuano term for an unmotorized three- wheeled pedicab). 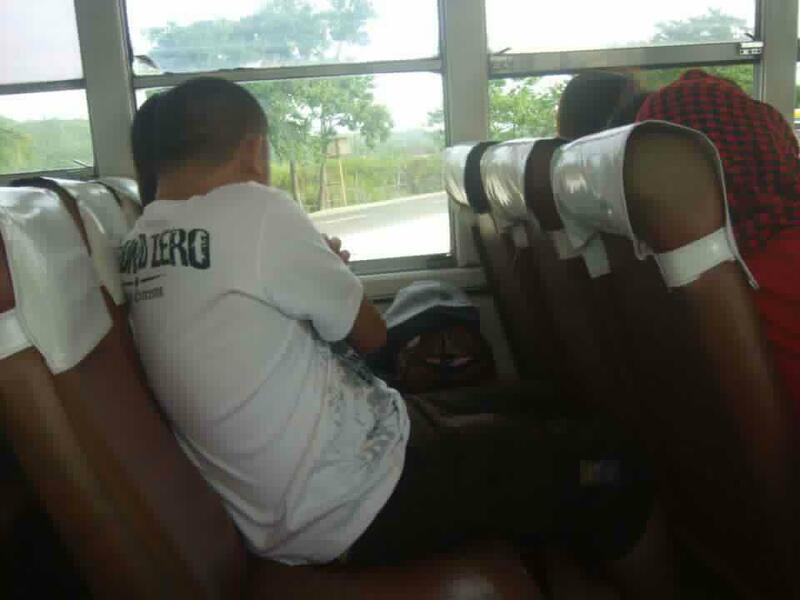 We paid 15 pesos each for the ride. It took 20 minutes of pedaling for us to reach Sugar Beach. Sugar Beach. 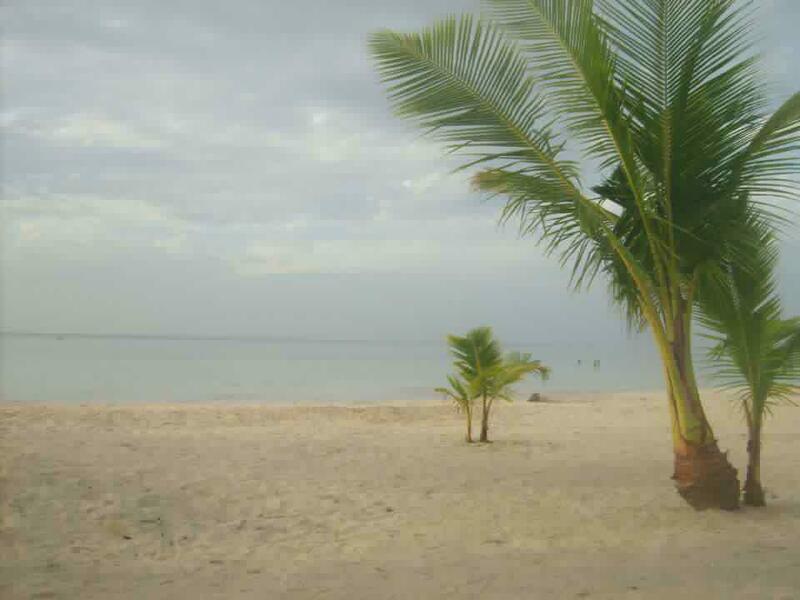 This was the resort we checked-in, it was called such because its sand is as fine and white as sugar. This resort is ideal for those with tight budget(like us!). 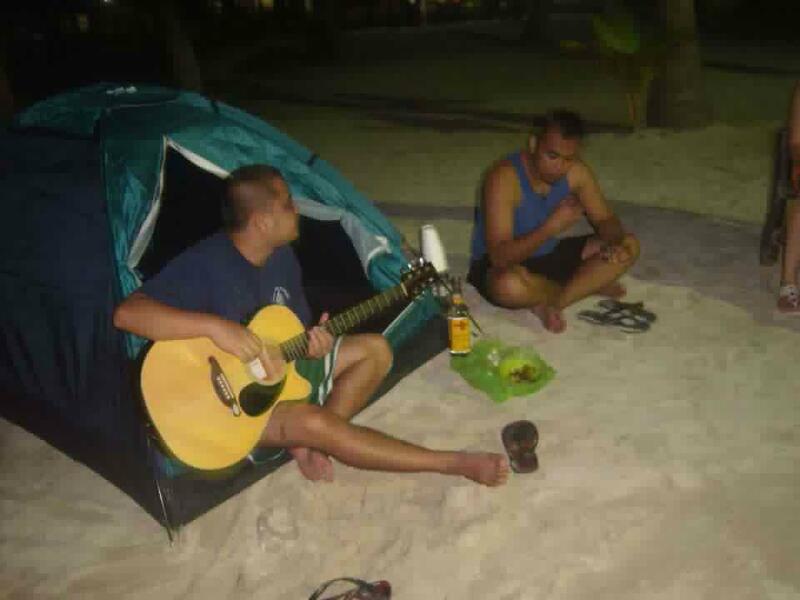 We paid only 800 php for a room with 2 beds good for 4 persons (since we were 6, the two guys put up a tent near the shore for them to sleep on). Lunch. It was almost lunch when we arrived there. We were famished that’s why we shun the idea of preparing lunch. We went to their public market and had some barbecue. After filling our stomach, we craved for the infamous Selecta Magnum yet to our dismay, we were not able to find a Magnum ice cream on every bit of store there. So we just strolled around and went into some souvenir shops. First Sunbathing. I don’t know if you call it sunbathing but since we were strolling and soaked under the scorching heat of the sun, we considered it as sunbathing! With no sunscreen, hats nor sunglasses, we traversed the shoreline from a resort near the public market to Sugar Beach. Tell you, it was fun at first but when we realized it wasn’t that near as we expected it to be plus the scorching heat of the sun! 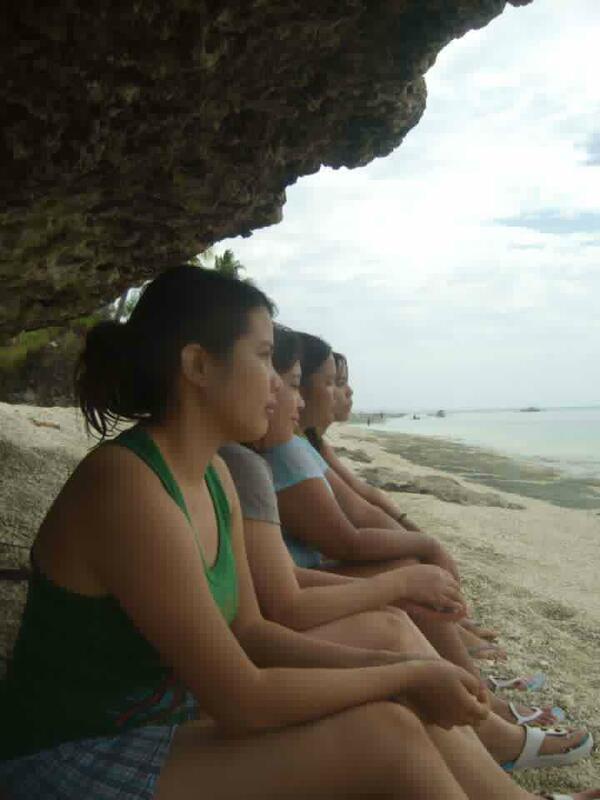 Walking along the shores felt like we were being punished! Swimming. 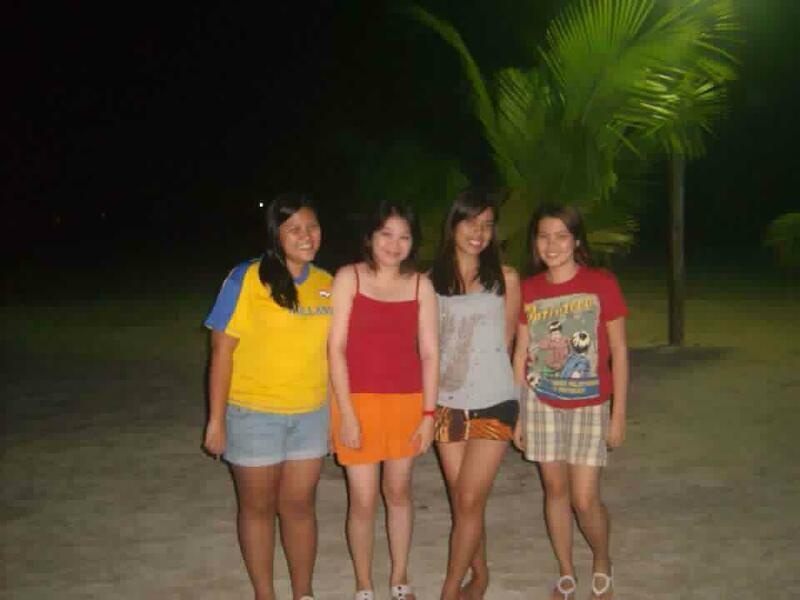 Upon reaching the resort, all we could think of is soaking in the water. 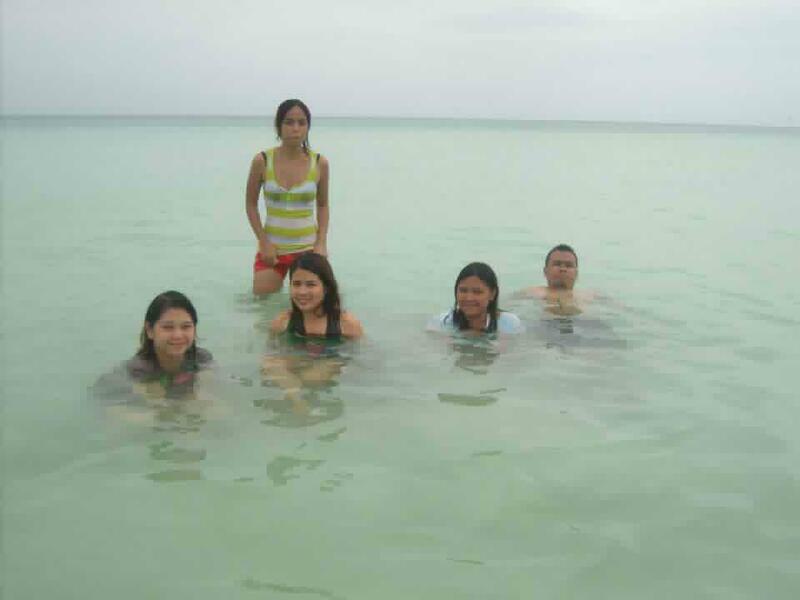 So we decided to rest a little bit then enjoy the blue waters of Sta. Fe. After hours of treading and swimming, we felt sleepy and tired so we decided to rest, have some afternoon nap and get ready for a sumptuous dinner. Wasay-wasay. Who could ever forget it? We were in loved with it! A group of local tourists were kind enough to let us taste this rare type of oyster. 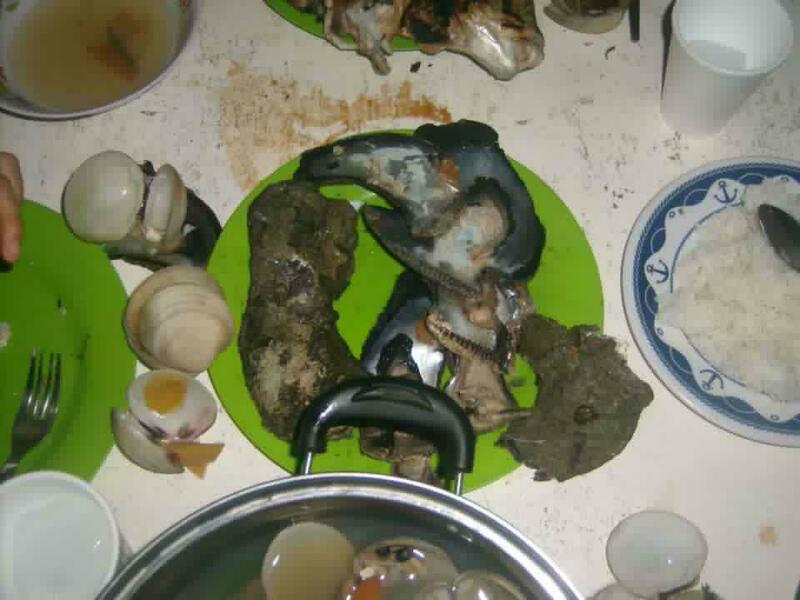 They ordered a sack of it for only 200php and they said that these shells are only found at the bottom of the ocean and are harvested through compressor diving (a diving technique publicized to be illegal due to its hazard). We were just supposed to taste it yet we can’t seem to get enough of it! We got one, then two, then so on, then we realized we were so full yet we can’t stop! And we still have dinner to feast on! Dinner. Full but still craving for the wasay-wasay, we sensed we had to go back to our cottage to feast on another sumptuous meal. 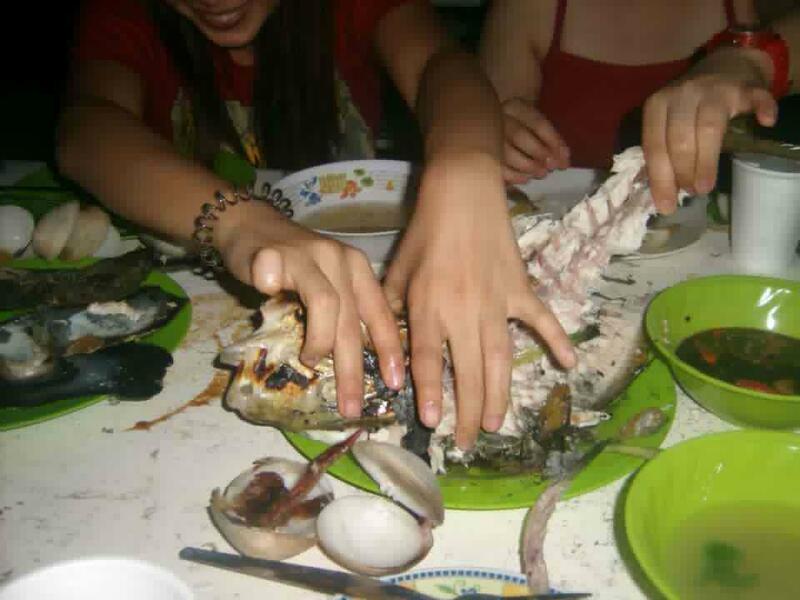 Dinner was composed of a grilled lapu-lapu, imbao, lechon manok and the mouth- watering wasay-wasay. We feasted and everything went down in a snap! Bringing on the Liquor!. Of course, since we are all adults here, the liquor must never be absent (haha! just kidding). 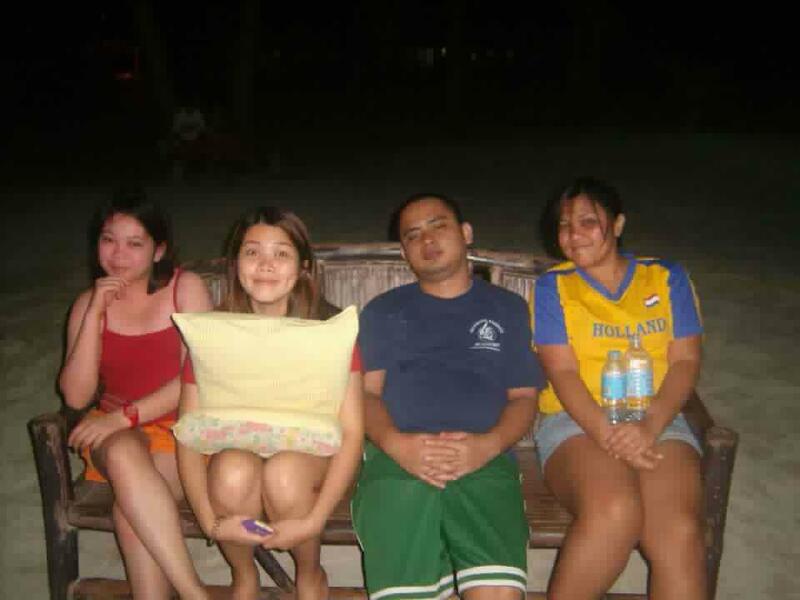 We had shots of tequila while camping along the shoreline. We sang (thanks to our guitarist! ), drank, laughed, talked, sang again then laughed again and so on. Just a perfect way to end our first day in the island. Day2. Sunday. I was the first one to wake up due to a slight hangover(urrggh!). 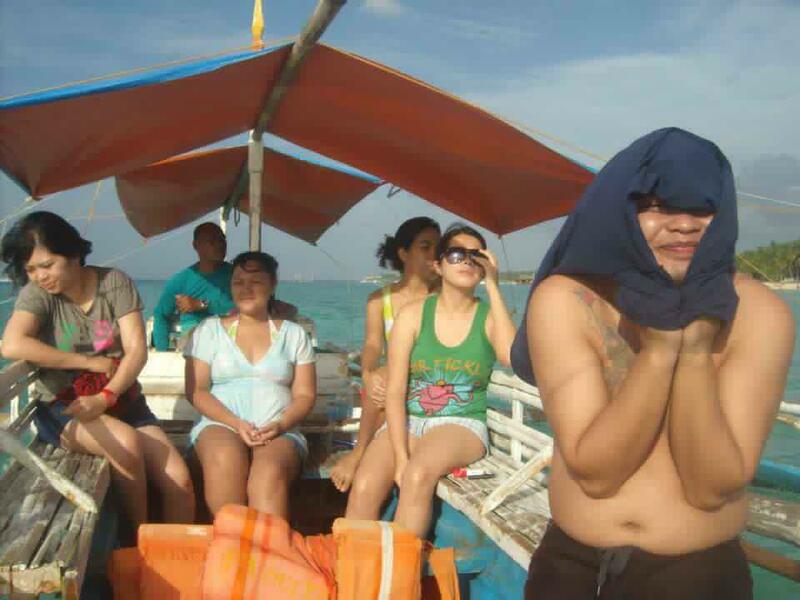 Island Hopping and Snorkeling. 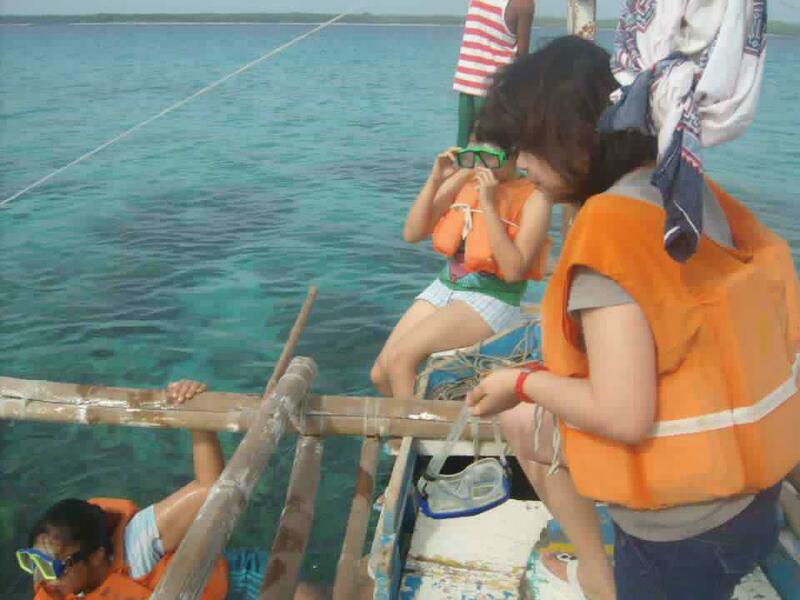 We rented a pump boat for 1,200php that would take us to the neighboring islands of Bantayan. First, we headed for the Virgin Islands which was about 20-30 minutes far. 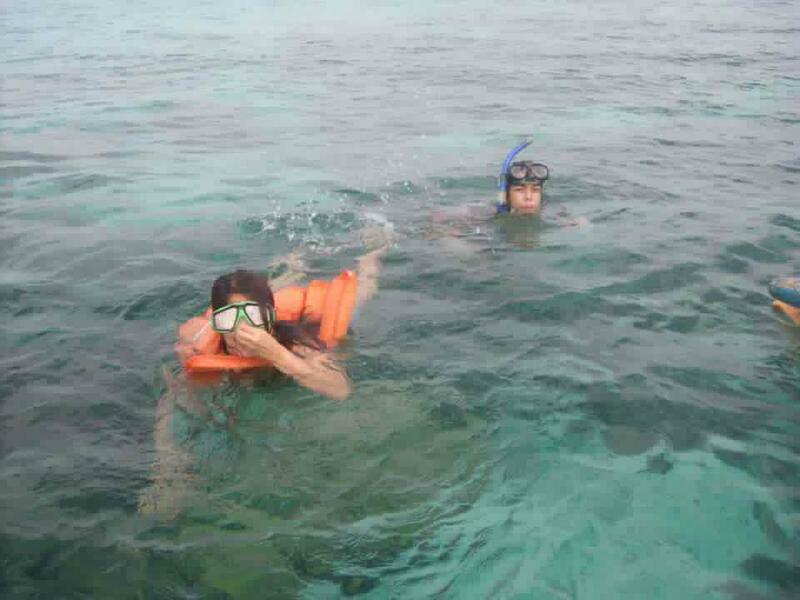 It was privately owned so we had to pay 300php if we want to dock and another 300 php if we want to snorkel. We decided not to dock and just snorkel since the island has a rich collection of corals. Funny thing is, we didn’t bring any money with us so we have to bargain with the caretaker of the island. It was my first time to snorkel and I was glad that one doesn’t have to be a swimmer to be able to do it (haha..i’m still trying to learn how to swim.). After hours of appreciating these colorful creatures while maneuvering our not so good snorkeling gears, we finally head for our next island destination. And one thing, we saw a jelly fish that would in later hours, bring anaphylactic reaction to our already sun- damaged skin! 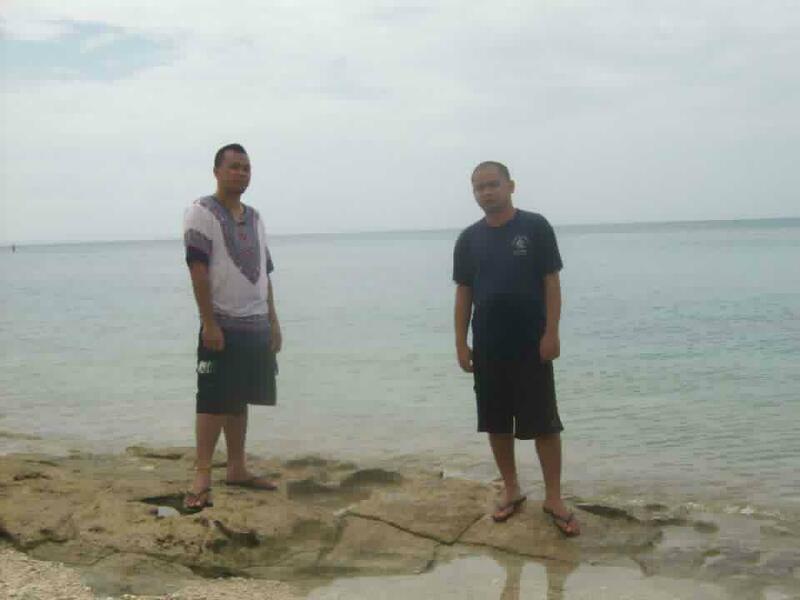 The next island was the Hilantagaan Island. And one word to describe it- it’s rocky! 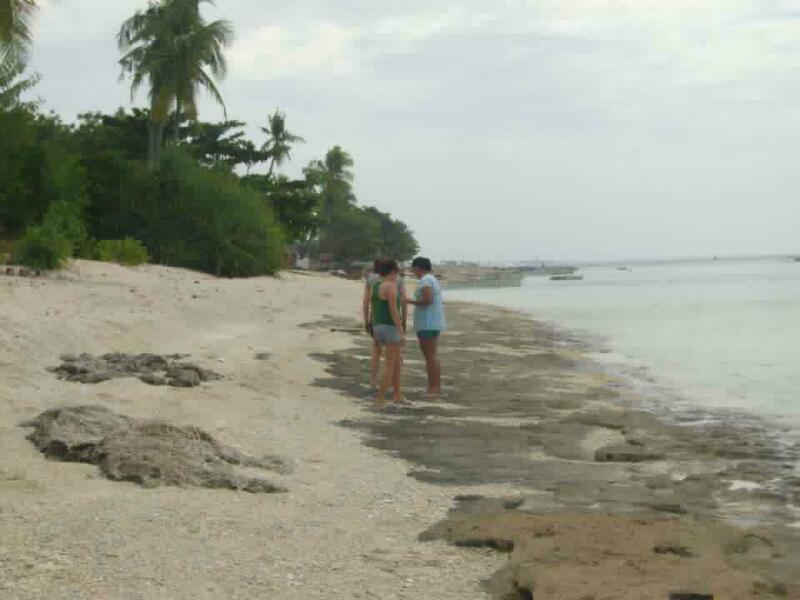 Yup, the island has lots of rock formations from the small pebbles to the medium ‘panlugod‘ rocks ( which mimi and bonits were collecting so they could bring back home into their showers). 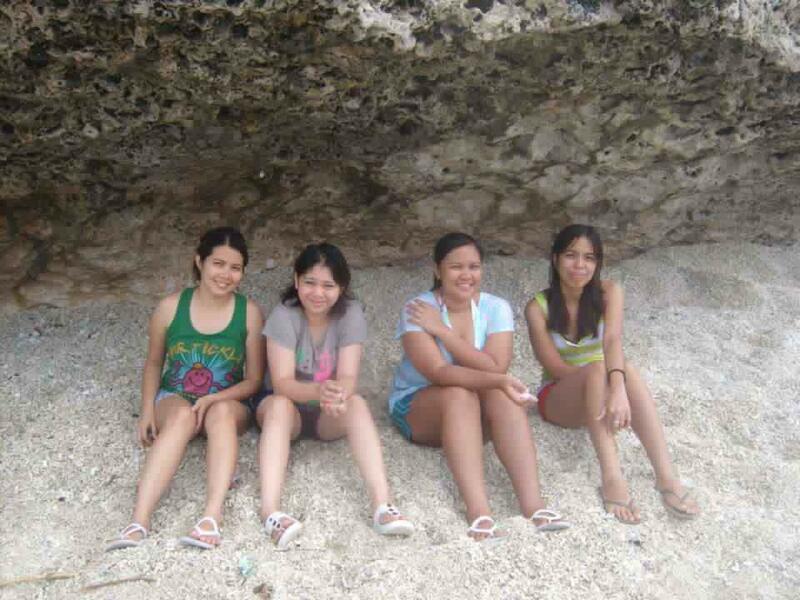 We took our time taking pictures since we didn’t feel like touching those slimy rocks at the sea bed. 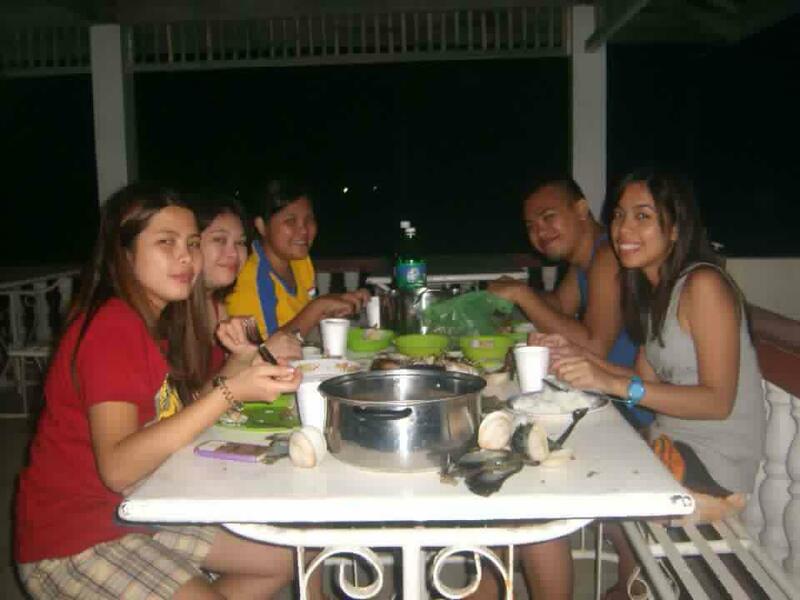 We went back when we felt our stomach gurgling and begging us to be fed. On our way back, we passed different resorts and concluded that Sugar Beach indeed has the finest and the whitest shoreline. Lunch. We were famished yet we still have to buy food and cook lunch. So we settled ourselves with chichiriyas while the boys fetched some food from the market. And to divert our attention from the hunger were feeling, we took a dip in the blue water, sunbathed and took some pictures by the shore. Then we talked about not wanting to get back to the city since we were scheduled to leave in the afternoon. Luckily, the boys were kind enough prepare lunch and all we did was eat. We had lunch by the shore, talked about how we enjoyed the vacation and how everything turned out well. It was time to go home. We tallied our expenses and was amazed to know that we only spent 600php each exclusive of the bus and ro-ro fare for our two- day vacation. 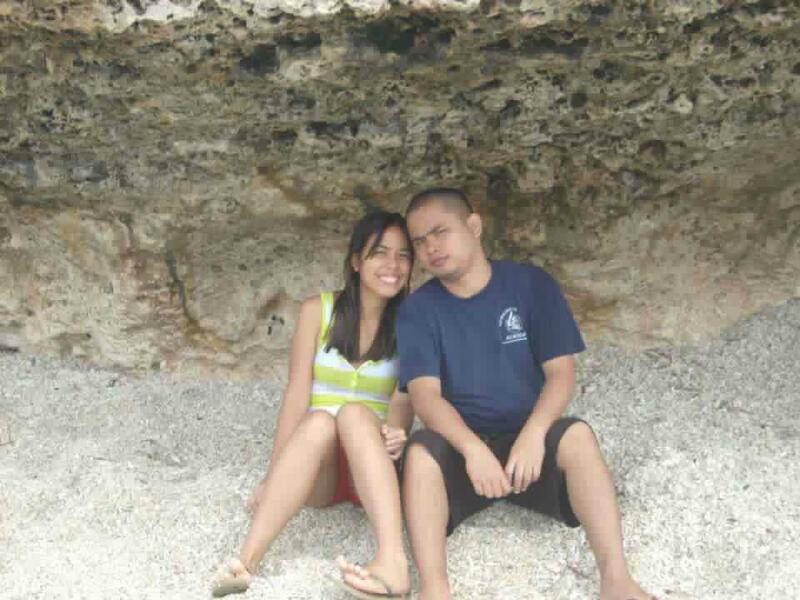 We promised to go back next summer and spend a few more days in Bantayan.